Obituary – Yockey, Clemmit Aron « Perry High School Alumni Association, Inc.
Clem Yockey received many awards, one of which was first place at the El Camino Tournament in California. He feels wrestling has helped him build self-descipline. Clem competed in the State Tournament 3 years prior to his senior year. ﻿Clem Aron Yockey, 22, died on August 14, 1991 in a tragic truck-train accident. 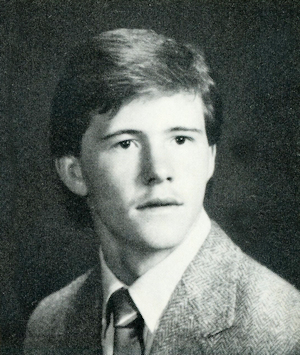 He was born at Perry, Feb. 16, 1969. His parents are Clem and Opal Yockey, 114 Fir avenue. He was a 1987 graduate of Perry high school. He was president of his senior class and was named “All Around Senior Boy” at PHS. Yockey was a four-time state qualifier in wrestling, wrestled on the East All-State team and was PHS wrestling co-captain. He recently had become involved in motorcross racing. Yockey was a member of the First United Methodist church. In addition to his parents, survivors include Kelley Yockey, of the home; maternal grandparent, Mary Ingmire, Perry; paternal grandparents, J. W. and Phyllis Shepard, Perry; and several aunts and uncles.